The housing market crash has made it very difficult for the homeowners to sell their houses. The housing market crash has made it very difficult for the homeowners to sell their houses. Most of the homeowners are unable to sell their houses for several months. Some of them are even forced to sell the houses at loss. According to a recent survey conducted by a real estate market, it has been reported that around 37% of the US homes have been sold at a loss in the month of February 2011. Therefore, if you are thinking of selling your house this year, it is better to understand and avoid some common financial mistakes which the home sellers often make. 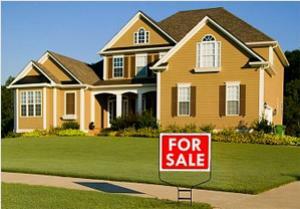 Read on to know about the common mistakes which are best to be avoided while selling your house. 1. Working with a wrong real estate agent: It is extremely important to hire a real estate agent who has profound knowledge on the housing market. You should choose an agent who has excellent marketing skills. Otherwise it may become difficult for you to get a good deal. The agent should be able to set up a fairly good price for your house. This will increase your chances of selling your house quickly. 2. Not being practical: It is normal to be emotionally attached to your house. But you need to be practical while selling your house. You can never grab a good deal if you are too much emotionally involved with your house. You should market and price your house as a commodity after deciding to sell it. 3. Setting an abnormally high price: It may be the case that you have spent a substantial amount of money while purchasing your home few years back. The value of your house might have been high 3 years ago. However, after the housing market crash, the home values have dropped. In some of the states of USA, the home prices have fallen by as much as 50%. So, if you set a price which is too high in comparison to the present housing market conditions, then most buyers would not be interested to purchase your house. 4. Covering up the problems: If the window pane in your house is broken or there is a water problem in your house, then it will be an error to hide them. The potential buyer will inspect the house before purchasing it. The buyer may refuse to purchase the house after finding out the problems in your house or may offer a very low price for the house. So, you should fix the problem before listing your house for sale. 5. Selling during holidays: The housing market experts are of the opinion that holidays or winter season is possibly the worst time to sell homes. Their opinion is based upon the fact that most people are busy in spending quality time with friends and family during holidays. Apart from that several people prefer to stay at home during winter season. This means that less number of people will be interested to buy a house during these times. In short, it will become very difficult for you to sell your house. You may not be able to make much money by selling your house during winter house. Finally, it will be a mistake to not showcase the various parts of your home when you are marketing it online. You can post several photographs of your house on several social media websites. Enclose photos of the key rooms of your house - bedroom, bathroom, living room, kitchen, etc. Ensure that the photos give a spectacular representation of your house. High-resolution photos of your house will attract the potential online home buyers more than ever.